The sun was shining all across the UK last week, and the new warmth has me ready to shed my winter layers and make a new start for spring. 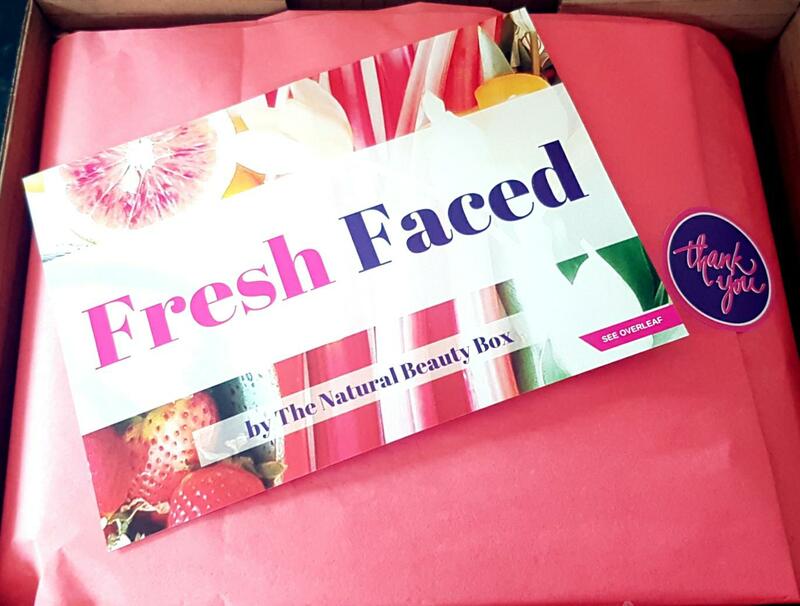 Well, lucky for me this month's collection from The Natural Beauty Box promises just that! April's "Fresh Faced" edition includes five full size natural beauty products that target dull, dry, and damaged skin and work to revitalize your eyes, cheeks, lips, and more! As always, everything included in The Natural Beauty Box is all natural, cruelty free, and vegan friendly, so you know that the goodies you are getting are ethically minded. Even better, many of the brands included are start ups or artisan boutiques, so you can feel great knowing you are supporting not just the well-being of our fur friends, but small business owners as well! We have been properly spoiled this month, as the April box is worth a whopping £82.95 -- that is a savings of over £58!! While overall value is not the only factor I consider when subscribing to a monthly box, it is definitely fantastic knowing that I will be trying products I would not otherwise be able to afford/rationalize buying from eco-luxe brands that I would usually just drool over on Insta. Beyond just the amazing worth of the contents, the items themselves are impressive in their own right. While not the array of dessert-inspired scents like the Good Enough To Eat box, everything here is mouthwatering in its own way. And like I mentioned, this month all five skincare treats are FULL SIZE. No samples in sight here! Plus, we have so many new names included -- Myroo, BYBI, and Villiers London are all first time appearances (at least to my knowledge) for the box, two of which are completely new to me. I am also so excited to see not only two of my tried and true brands find their way in as well (PHB and Bloomtown), but two items I actually have on the go already! It's always great having back ups to lovely green goodies that you know you already like. The first item to kick off the Fresh Faced collection is Villiers London Floral Face Steam. Worth £15, this tub is filled to the brim with fourteen dried floral botanicals, herbs, and fruit peels. When you unscrew the lid and pop it open, you are hit by an amazing freshness, a blend that is simultaneously floral and zesty. The lemon hits you strongest at first, and it brings to mind a refreshing drink on a hot summer's day. The primary use for this mix of petals and peels is as a facial steam, where you pour boiled water over 1-2 tablespoons of product, cover the bowl and your face with a towel, and breathe in the calming scent while the soothing steam opens your pores and removes daily toxins for fifteen minutes. 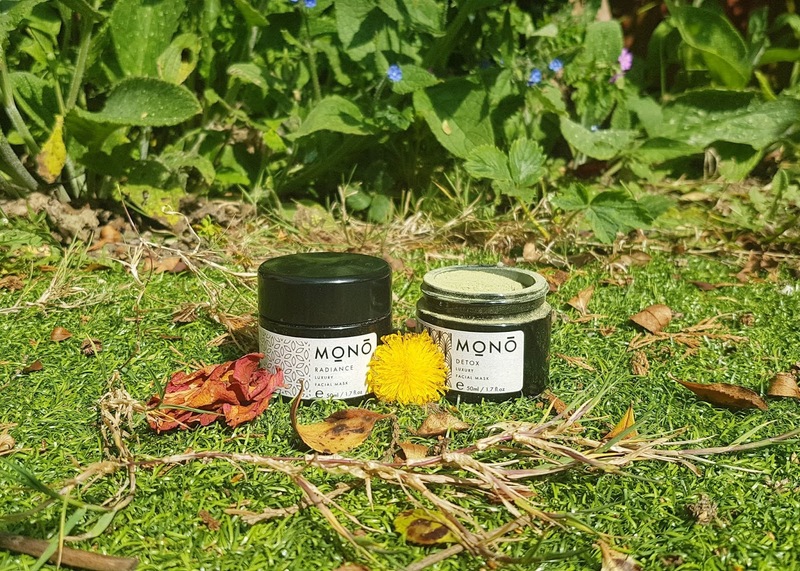 If you aren't one for patiently steaming, the label also states you can create your own tonic for face masks or a bath, similar to how you would use a hydrosol. I will probably be using this for both, as I can first steam (a good time to fit in some mindfulness meditation!) and then repurpose the floral water for whatever I want when I am finished. 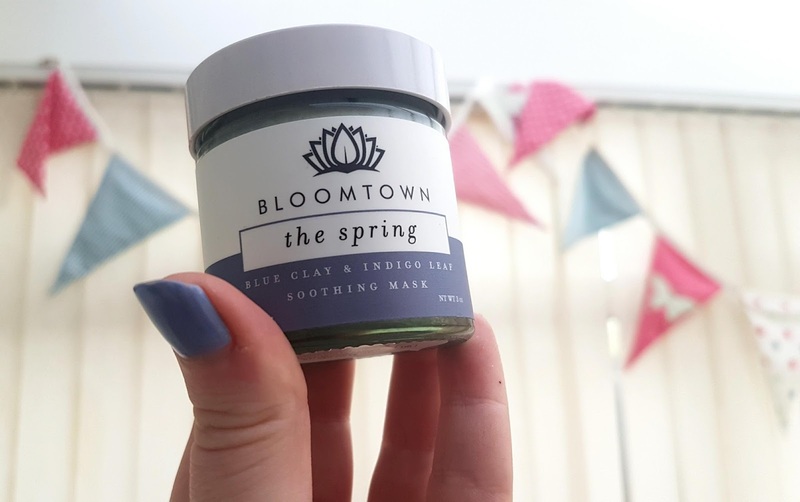 Next on the leaflet is a product I have been using recently, the award winning The Spring soothing face mask from Bloomtown Botanicals. I bought this 60ml pot a few months ago after winning a gift voucher for Bloomtown, and can say with confidence that it is truly something to be excited about. One of my pet hates is when clay masks dry out your skin and leave it feeling more irritated than pre-masking. I also dislike when they harden like cement, leaving your face feeling tight and uncomfortable while you wait impatiently to just finally rinse the thing off. The Spring is not like that at all. In fact, it is the complete opposite. The formula is thick and has a slight roughness to it when you first apply, but it feels very gentle from start to finish. Since Bloomtown uses plant glycerin and blue bentonite clay for their base, the mask itself is actually pretty hydrating. You do not need very much product to cover your face because it spreads so easily and smoothly, so this little jar will last upwards of thirty uses -- that means if you only mask one day a week, this should keep you going for about seven months! And with this formula smelling so nice, you will want to keep it around for as long as possible. I was overly excited when I saw that The Natural Beauty Box's Fresh Faced edition would include a lip scrub, and I have to admit this is probably the item I was most looking forward to. I try to exfoliate my lips once a week to help keep them healthy and nourished, but it can be tricky finding just the right scrub. Some are too grainy, some too oily, some smell sickly, and some included my dreaded phenoxyethonal. 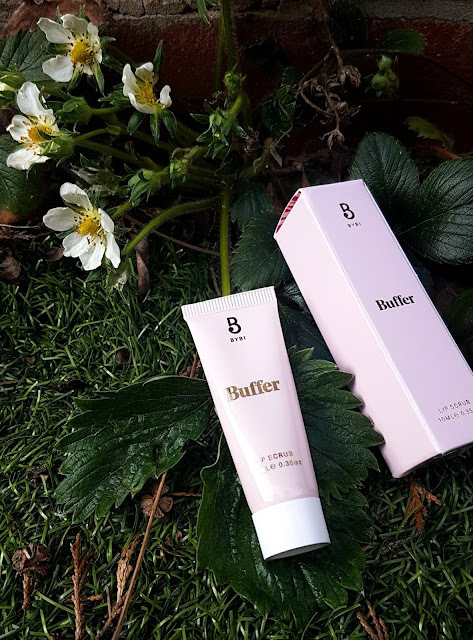 BYBI's Buffer Lip Scrub isn't any of those, and might just end up being a new favourite in my routine. The exfoliant is sugar based, but also contains shea butter, almond oil, strawberry extract, cinnamon, and a few other natural heroes, meaning it both hydrates and sloughs away dead skin cells at the same time. This leaves your lips looking and feeling smooth, and smelling of a delicious fruity cinnamon bun. This is one scrub I will have to try my best to not lick off before I have finished scrubbing! One more thing to love about BYBI's Buffer -- the packaging is made from biodegradable sugar cane! No unnecessary or harmful plastic found here, and I say good riddance! 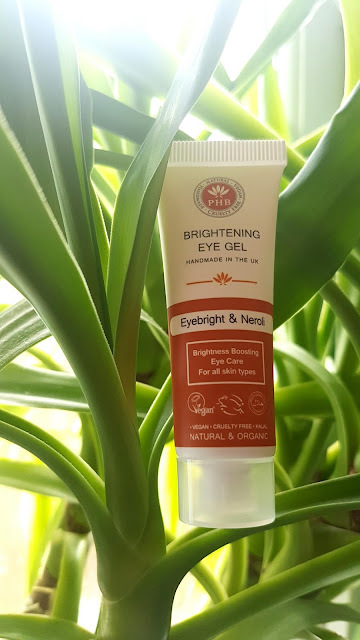 Fourth on the list is another product I am currently using -- PHB Ethical Beauty's Brightening Eye Gel. I received a tube of this wonder-gel back in January from another beauty box, and have been impressed with it ever since incorporating it into my regular skincare routine. The scent is very uplifting, which is perfect for the warming weather, but my favourite part about this item has to be the consistency. Most eye products have a creamy texture and are relatively thick, which for many people is fantastic. My skin, however, rejects anything that is too rich and erupts in little spots. PHB has found the answer to my perennial problem, and has created eye care for those with sensitive or young skin. Another plus for this all natural treat is that it doesn't give that white sheen that many creams leave behind when you dab them in. Since the gel is transparent, there is not any noticeable trace of the product after applying. The only evidence is the gradual brightening of the skin under the eyes after a few weeks of use. At just £16.95, this is both cost effective and Bryanna approved! 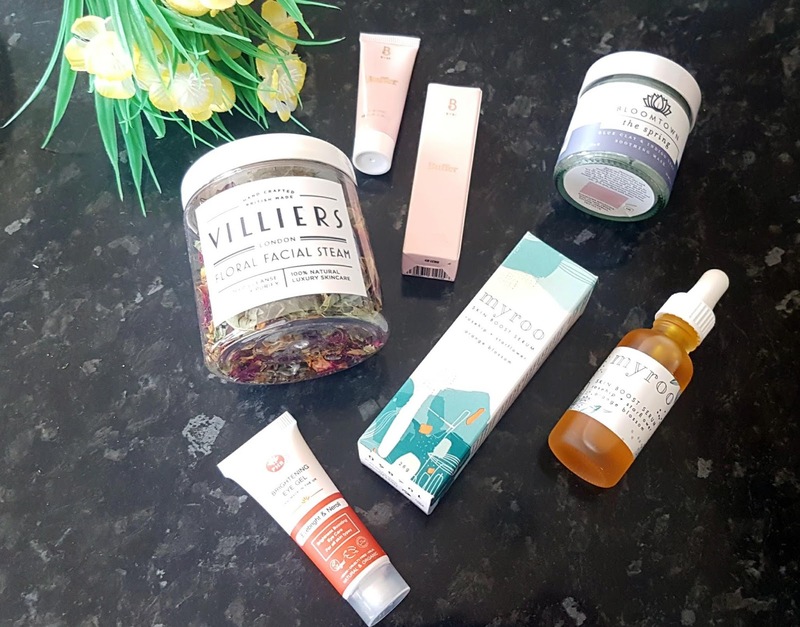 The final product in this month's bundle from The Natural Beauty Box is one that I have been waiting for an opportunity to get, so I am thrilled to get a full size bottle to test! I have seen targeted ads from Myroo for several months now, and every time one pops up I want to splurge and get their entire range. 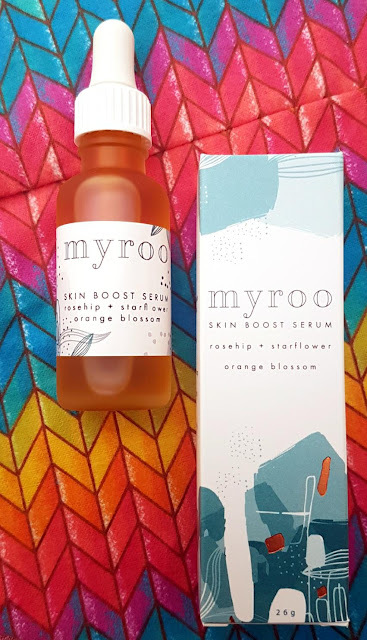 The fact that April's box included the Skin Boost Serum was so exciting, and I can say that my hopes about this vial all seem to have been well founded. The first thing I noticed straight off the bat was that this is contained in a glass bottle -- first plus, no plastic! The design of both the box and the bottle are so cute, with very vibrant patterns and colour schemes that compliment the orange tone of the oil within. The applicator is a glass dropper which is personally my favourite method for oil based products as it allows you to choose exactly how much you are dispensing. When you take off the top, the smell is surprisingly delicate. I was expecting to be hit with overwhelming orange scents, but this is much lighter, and much more floral. The rosehip comes through most strongly, with undertones of raspberry, rosemary, and neroli creating a rich and complex (in a good way!) fragrance. The serum is incredibly light on the skin and absorbs really quickly which was another plus for me. There is nothing worse than having an oily gleam to your face while you wait for a product to sink in. Since my skin loves rosehip, and the ingredients all look to be gentle and non-clogging, I think my face and neck are really going to love this long term. I have to say, I was slightly nervous when I heard the April edition would be featuring only skincare products for your face, as I have moisturizers, oils, and facial potions galore in my cupboards all waiting to be used up. However, I was very pleasantly surprised as the reveals rolled in. This box truly captured the essentials for a full facial -- mask, hydration boost, all rounder, exfoliant, brightening treatment... Everything needed to provide healthy, radiant skin all packed gently into one perfect box! If you want to subscribe to The Natural Beauty Box for the May collection, be sure to do so before they disappear. A rolling subscription is just £24.95 including free UK postage, and you can skip a month or fully cancel anytime, though you probably won't ever want to! This box always sells out (I mean, how could it not?! ), so keep an eye out for stock warnings over on their Instagram, Twitter, or Facebook. And if you want to keep up to date with my posts, be sure to hit the subscribe button either on Blogger or Bloglovin, and follow me on Twitter and Instagram for more daily content! 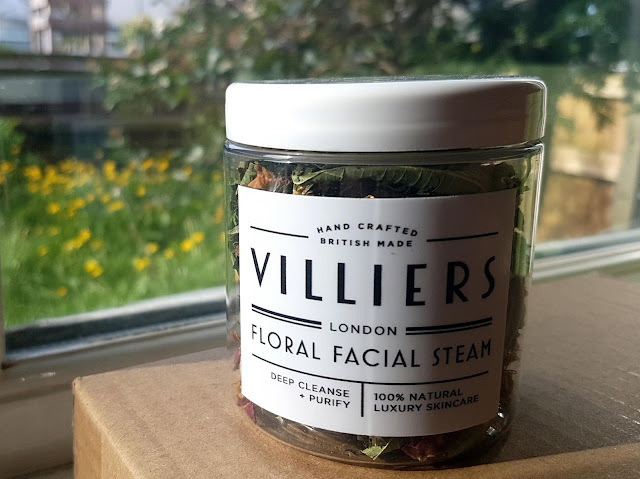 I really want to try the Floral Facial Steam. It sounds amazing! I love finding new products in boxes, especially ones I couldn't usually afford or justify buying just to try at full price. This is a new brand to me, but I do like the sound of natural beauty products. I'd like to try the eye gel - my dark circles need some attention. This box sounds absolutely amazing and right up my street! Going to have to check it out later! This is right up my street! In fact I'll take it all..lol. You don't have to convince me to buy clean beauty products. 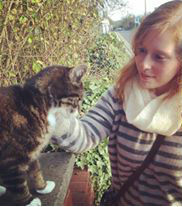 You had me at hello! Wow! A natural beauty box, that's definitely something I'm interested in. I think it's awesome that you were able to try each one. They all sound amazing and I'd love to try these myself. This looks great and how wonderful does the orange blossom boost serum, sound! Oh I love boxes like this and so good that it's all vegan too. Would love to get a facial steam on my skin at the moment. I’ve heard of this beauty box and the contents look quite good. I’d like to try their facial product. Sounds interesting! Oh I love this idea of a subscription box. I keep meaning to try one for myself, it looks to be filled with great products! Oh my gosh, what a beautiful subscription box, and such a lovely idea. I absolutely love natural beauty products so this is definitely something I would try. The floral face steam looks so good!